This article covers the results of a clinical study announced in General Dentistry, the clinical journal of the Academy of General Dentistry. In the study, patients were tested after eating cheese, milk, and sugar-free yogurt. The results showed that the patients who ate cheese had a rapid increase in PH levels, whereas the patients who had milk or sugar-free yogurt experienced no significant change in PH level. 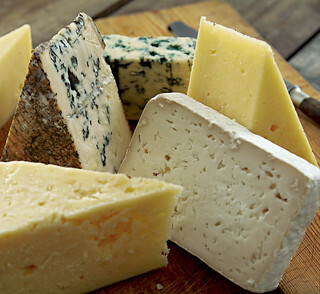 Since an increase in PH levels will lower the risk of cavities, the researchers are calling this an indication that eating cheese may help prevent cavities. Filed under Oral Health Trends . You can follow any responses to this entry through the RSS 2.0 feed. Both comments and pings are currently closed.